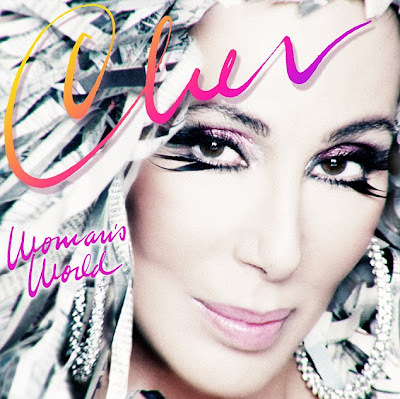 Multiple Grammy and Oscar award winner Cher is showing no signs of slowing down as she rallies "All the women in the world stand up, come together now this is a woman's world" in the newly released music video for her girl power song 'Woman's World'. Cher premiered the song back in June as she confidently returned to the stage for her first live performance in 10 year at the season finale of the TV talent show The Voice. The single is set for official release in the U.S on October 13th and her new album which also includes the song 'The Greatest Thing' co-written by Lady Gaga will be released one day later on October 14th 2013. Read on to watch the music video and bop your head/pump your fists to Cher's new single. P.S. she looks amazing at 67! 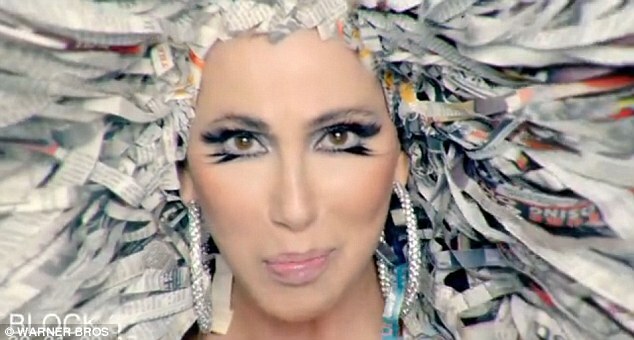 Clip from Cher's new music video featuring a newspaper clippings wig. What do you think of Cher's new girl power anthem and music video? Leave a comment below. I love the newspaper wig! I like her music. It's very nice.